Winter has been a bit underwhelming this year in our region. All the things my family loves about this season have been sorely lacking. Namely, snow. The kids actually resorted to trying to sled on sleet a few weeks back. Instead of lots of fun, fluffy white stuff (remember, we homeschool and hubberman works from home so getting snowed in is fun for us) we have instead been getting an abundance of grey skies and wind. Lots and lots of wind. Add to that the Seasonal Affective Disorder that seems to be scooping up people by the armful, and then sending them all out twitchy and grumpy on the roads to honk their dissatisfaction at anything that moves. I think we all need a little sunshine about now! While keeping the plates of homeschool spinning over the past two months, I’ve been staring longingly at my seed and garden catalogs. I’ve decided, it’s time. 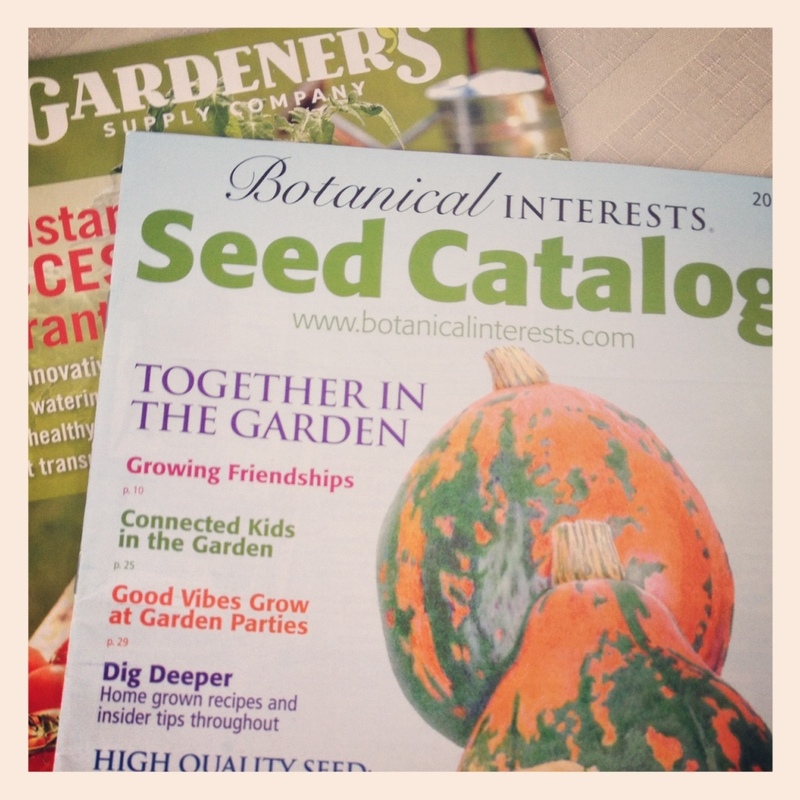 Tomorrow I sit down with my seed catalog and plan out and order this spring’s garden. This year, no cabbages. They were yummy and all, but they just take up too much square foot garden real estate. There is so much more I can be doing with that space. No squash either. Same reason. Last year’s amount of green beans was perfect! Just enough to keep a steady flow coming in the kitchen without being overwhelming. Plant the same this year. Try a leaning trellis for cucumbers. I don’t want to give up on cucumbers just yet, and I think that a trellis might be the answer. I’ll give them one more chance to not be annoying in my garden, and then sadly they will have to go the way of the squash. Try a few new things I have not tried yet. As I browse the seed catalog, I’m going to challenge myself to order something a little unusual, just to give it a whirl. You never know until you try! The lettuce has been very healthy so far. A Grow Camp update is long overdue. The only remnant from the summer vegetables are the bell peppers and they are still going strong, despite the cold evenings we have had lately. So far, my autumn plantings are doing great – red and green leaf lettuce, onions and arugula are all sprouted and growing. I just hope my onions get big and strong enough to last through the winter. Enjoy the gallery…mouse over for captions. I threw in a photo of one of our pretty yellow mums for good measure. Happy Monday!